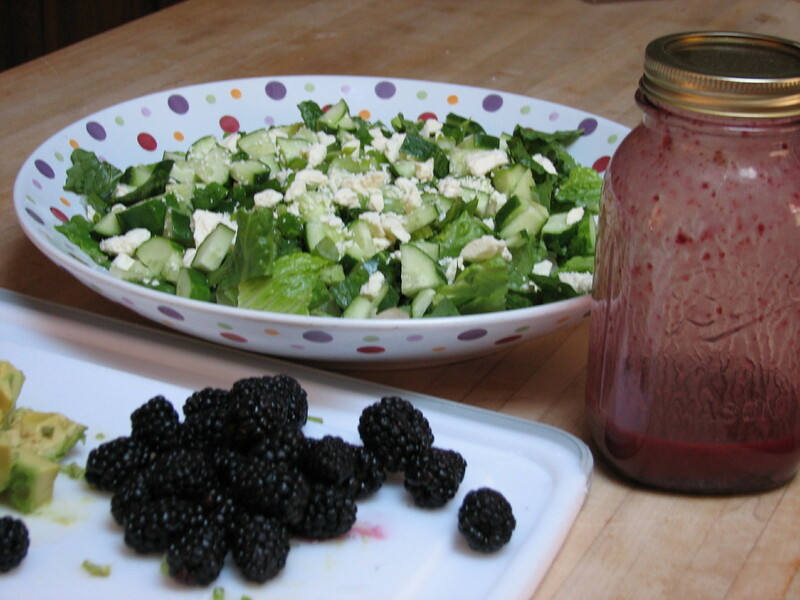 Thanks to a friend of mine for giving me this wonderful recipe for the Blackberry Dressing today when I called her on the videophone. My friend lives in Canada so it was great to see her on the phone and yack for a while. 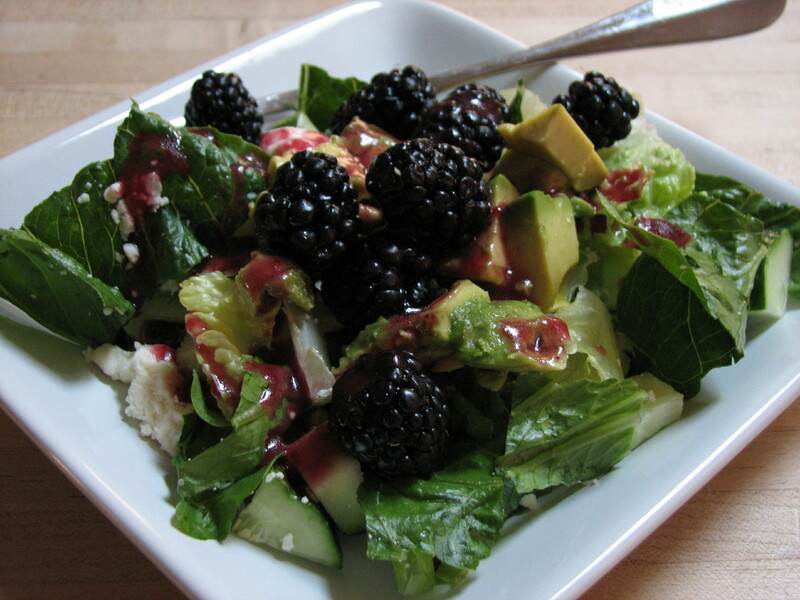 I love this time of the year when all the berries are in season and there is a more variety of fruits and vegetables. I have been eating more salads lately due to experiencing some health setbacks and thought I would share with you what I made for dinner tonight. Absolutely delicious – Enjoy! 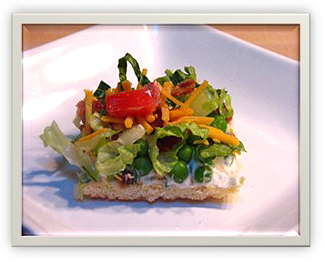 I am always looking for fresh salad recipes and this one caught my eye. 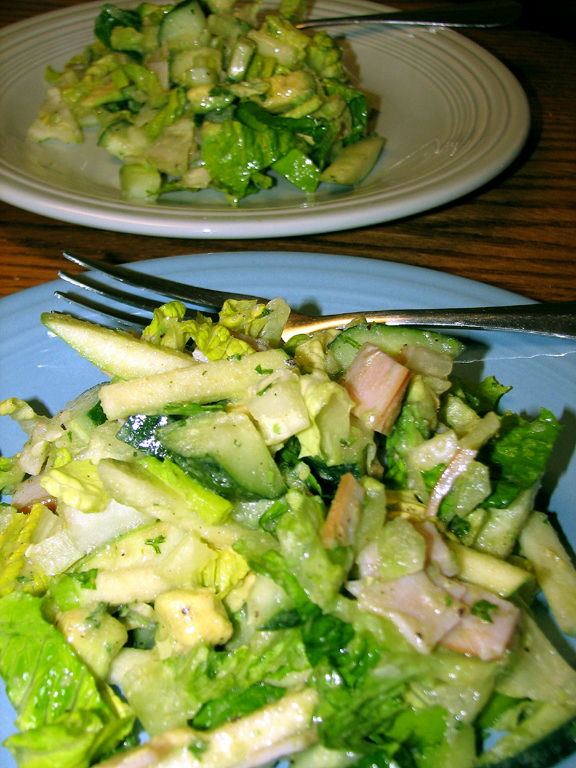 The salad came from a cookbook that I had called Perfect Recipes for Having People Over. The flavors of fresh greens were refreshing and appealed to me. The lemony flavored dressing really enhances the herb and salad greens. 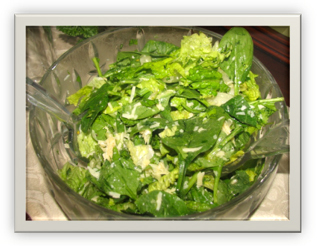 I used romaine lettuce and baby spinach with different herbs I had on hand. I served this today at brunch and the salad was a hit. Whisk all the ingredients for the vinaigrette together and add the olive oil slowly whisking the ingredients briskly. 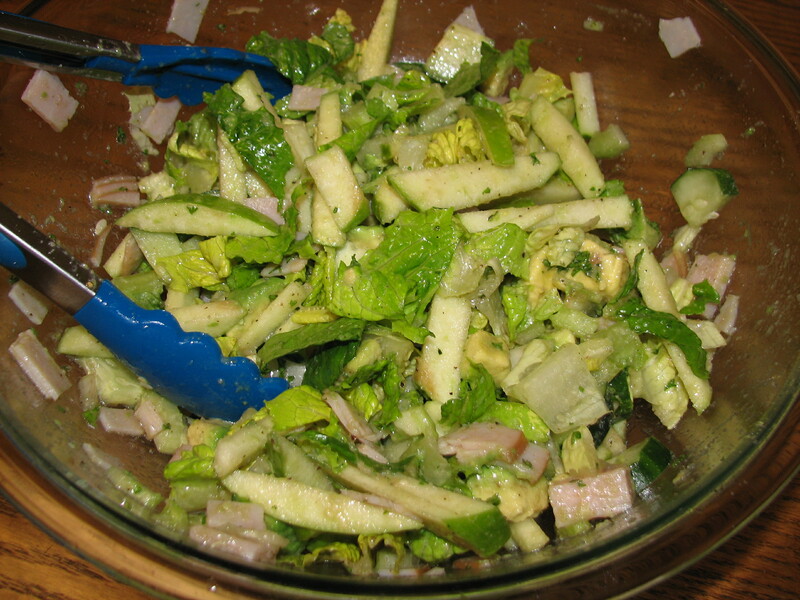 The dressing will thicken, pour over salad with herbs and toss well.